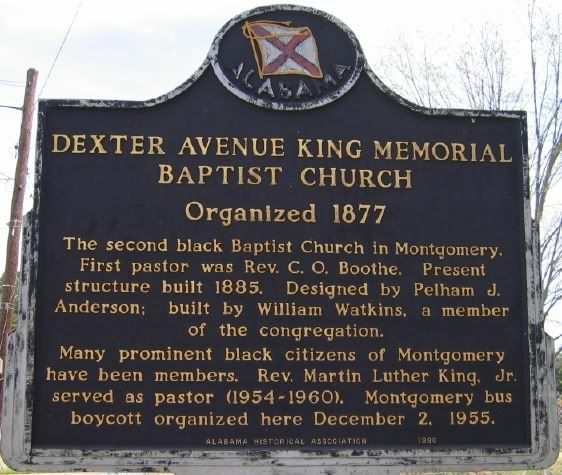 This is a thread for photos or information related to Montgomery's history -- please post anything that you feel may be of interest. 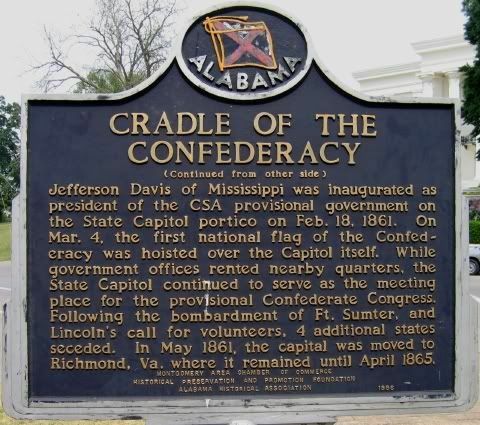 Montgomery was the Cradle of the Confederacy in the 1860's, and the Cradle of the Civil Rights Movement in the 1950's and 1960's. The city also played a role in early aviation history, including contributions made by the Wright brothers. I'll lead off with a link to an interesting account of the Montgomery portion of the 1965 Selma to Montgomery Voting Rights March. Jack Newfield wrote "Marching to Montgomery: The Cradle Did Rock" for the Village Voice. 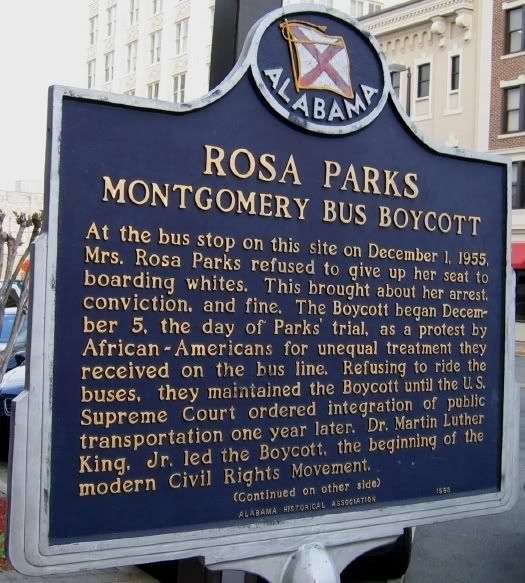 As the cradle of the American Civil Rights Movement, Montgomery honors the accomplishments and sacrifices of civil rights activists with a memorial and the Rosa Parks Museum; and plans are in the works to mark the Selma to Montgomery March and restore the old Greyhound bus station. I think our state should do more, though. 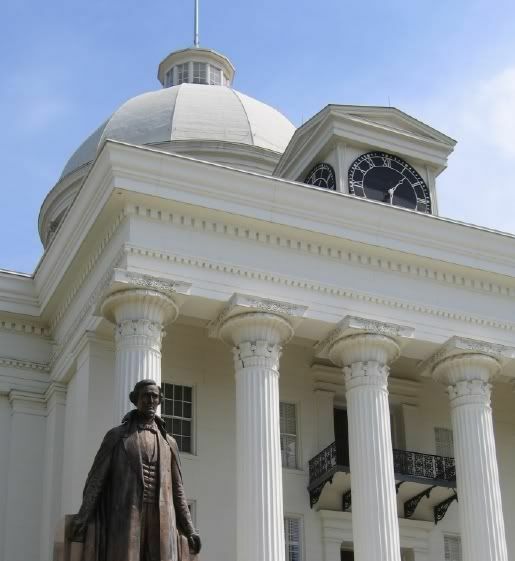 I think we should commission a statue of Dr. Martin Luther King, Jr. and place it on the right side of the Capitol steps, opposite the existing statue of Jefferson Davis. 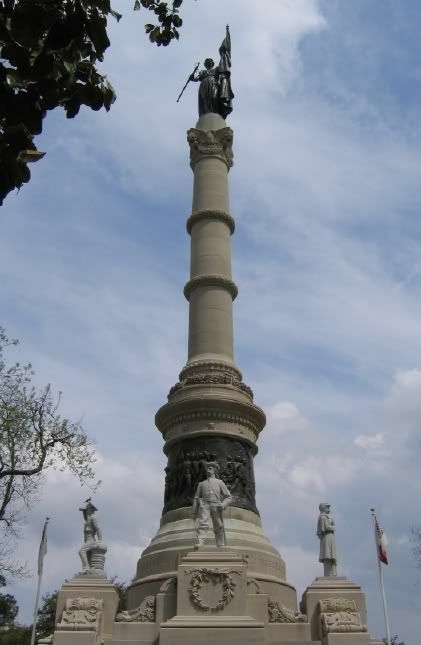 Additionally, we should put an African-American History Monument on the south lawn of the Capitol. The small existing statue honoring law enforcement officers can be moved elsewhere on the Capitol grounds. The monument could include statues of Rosa Parks, Dr. King, Fred Shuttlesworth, John Lewis, Booker T. Washington, George Washington Carver and others who have made significant contributions to African-American history in Alabama; along with a timeline etched into sidewalk displays. I think your idea is quite good and would certainly improve the poor image the rest of the nation has of our state. But, alas, it's a bit to progressive for our backwards thinking politicians. 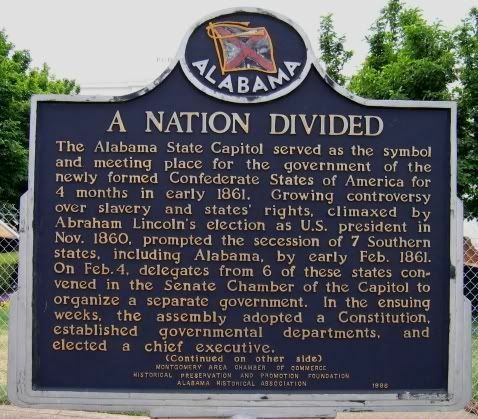 Just as Mississippi must banish its present state flag to the dustbin of history, Alabama could do more to ameliorate its ugly past. Your proposal is a good one. 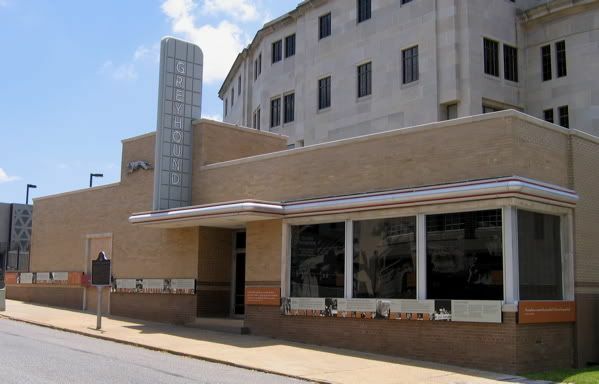 The idea of a civil rights museum is taking shape in Mississippi, but it may be a few years before the dream is realized. ^ Thanks, tom. 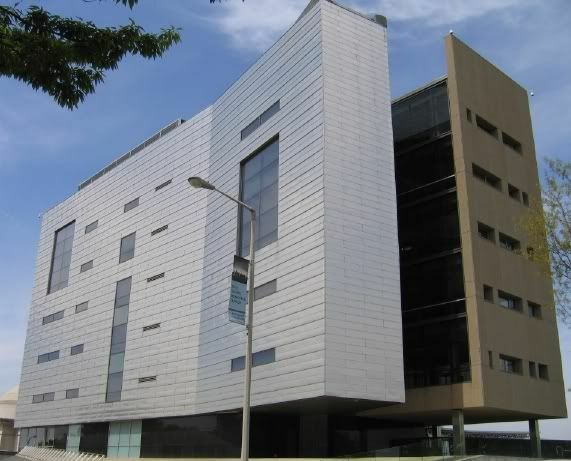 I hope the Mississippi civil rights museum gets funded and built soon. 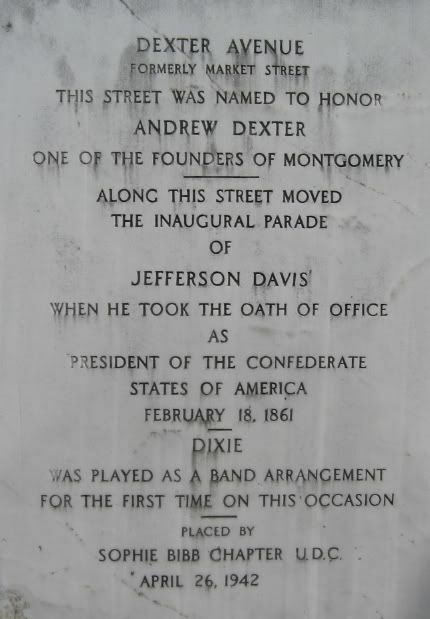 Tourists visiting Montgomery can now relive its history while listening to some of the people who made it. New MP3 audio, accompanied by a printed map, provides a self-guided walking or driving tour of the city's civil rights sites. The program features the experiences and voices of leaders such as Fred Gray, Virginia Durr, Johnnie Carr and E.D. Nixon Jr.; and blends them with sound effects to transport the listener back in time. Ticket packages and rentable MP3 players are available at the visitors' center in Union Station downtown. 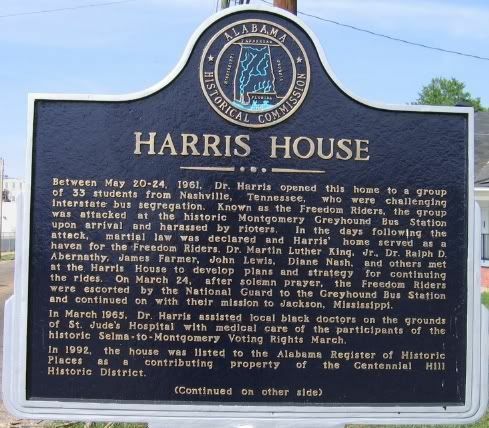 It's great to see the state taking steps to improve civil rights tourism. 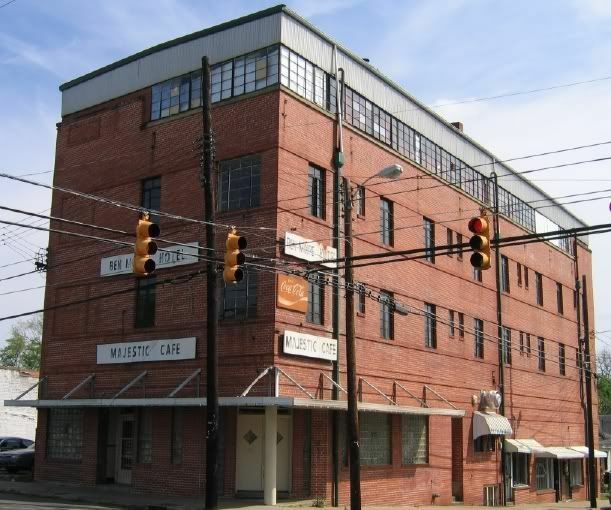 A related item of note is that restoration of the old Greyhound bus terminal, where the Freedom Riders were attacked, is under way and making significant progress. That's a big step. 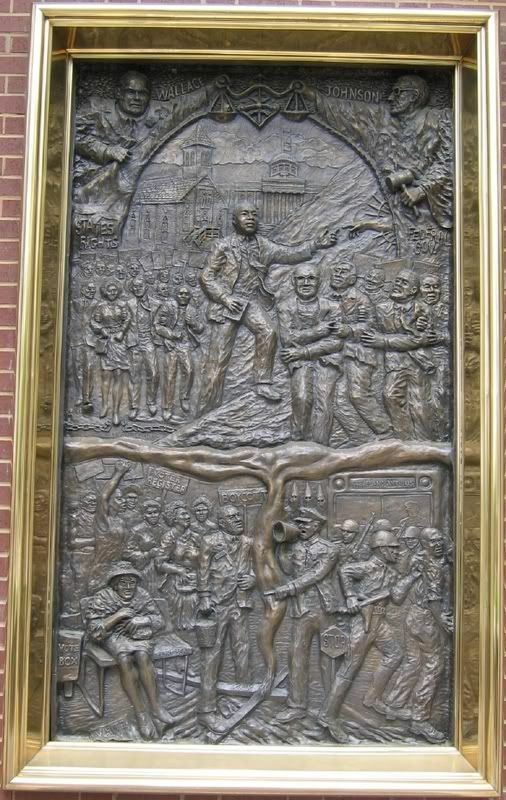 Birmingham has the Civil Rights Institute, which is a great asset. 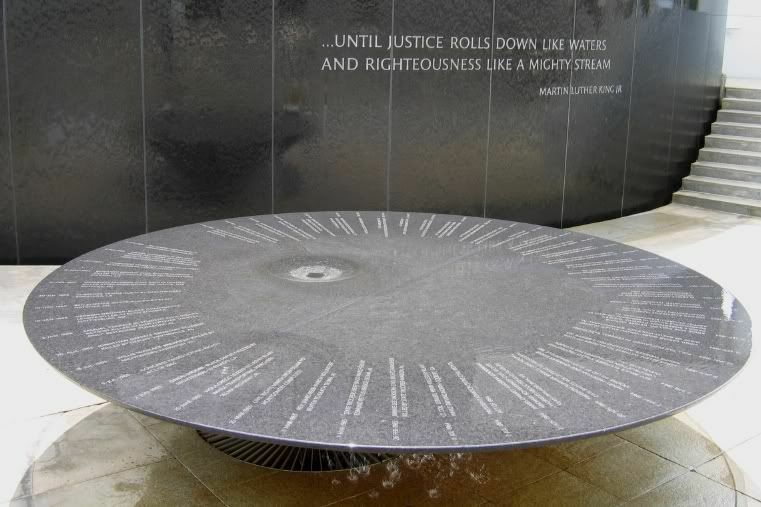 I think the idea of a Civil Rights memorial is AWESOME. We should pay respects to every part of our history. I do mean every. 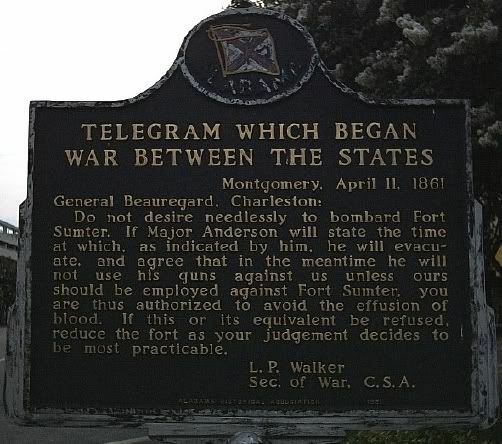 I'm nowhere near to being one of those "The South WILL Rise Again!" rednecks, or anything like that, I'm not racist either, but, the Civil Rights Movement, slavery, the Confederacy, Jefferson Davis, all of it is our history. Not all of it may be good, or something to smile about. 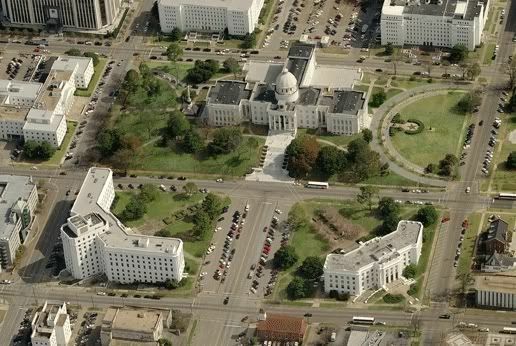 What would be even better is if the Civil Rights monument was built about 10 inches closer to the street than the Jeff Davis statue. Sort of a, "step forward", kinda thing. This a good example of overdoing the museum stuff unless Greyhound has agreed to use it and the doesn't seem like a good idea with an intermodal station ready to go. Many southern cities have bus stations from whence freedom riders debarked, but is it really worth a museum or just a marker, especially in light of the minimal architectural contribution of a one story build on prime downtown real estate? Actually, if the old station hadn't been historically significant, I bet it would have been demolished when the new courthouse was built. 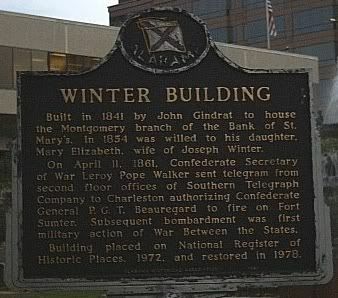 The building sits on the the federal courthouse complex block -- the only surviving structure on the block except for the two courthouse buildings. I don't think anything else could be done with that property. 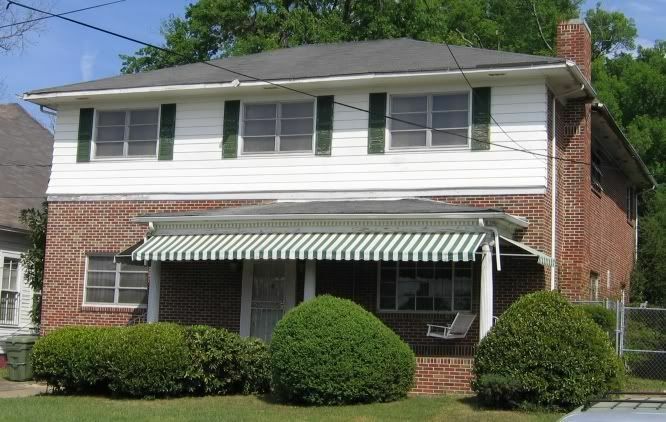 Perhaps you're right as it seems to me it was about .25 acres on a triangle end of the block. I guess the question might have been, was there anyone with vision to use it had it been available. I just feel that MGM has rest on the "laurels" of its "War of Northern Agression" past for way too long and has been held back by severe trauma of past that, while it should not be forgotten, should not have to be relived at every turn by many of us that were thrust into the national spotlight and greatly embarrassed by what occurred in the South, Alabama, and MGM in particular. Remember the sleeping dogs, but let them lie. 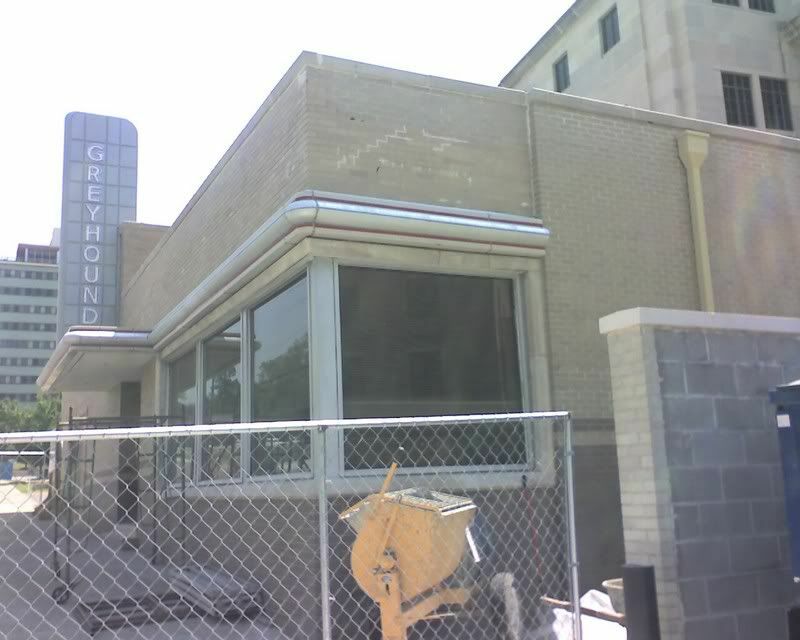 I was wrong about the renovation of the old Greyhound bus station. 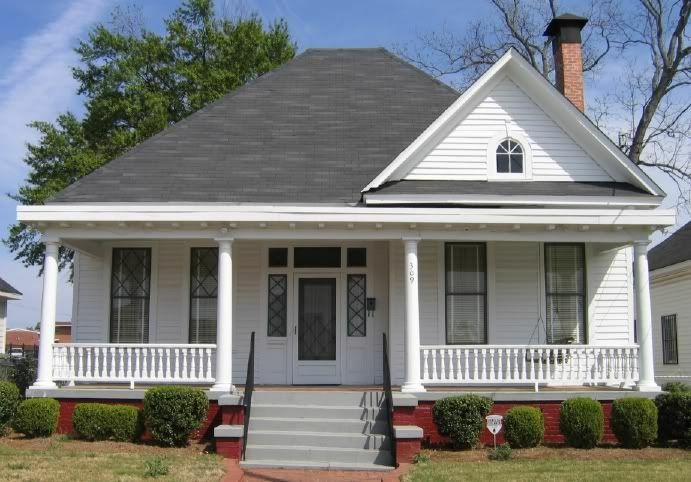 Other than exterior restoration, the project is not moving forward because of a lack of funding. 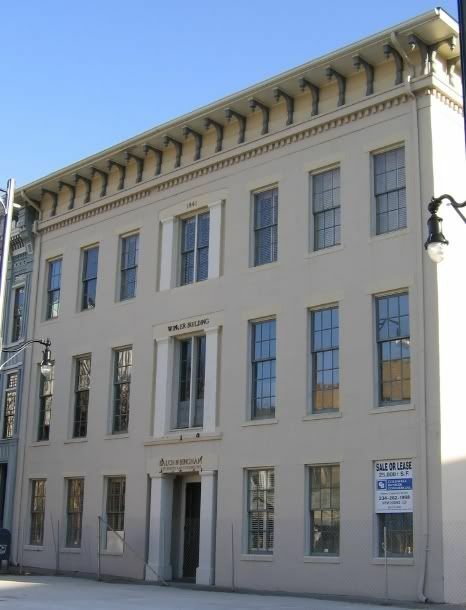 The state leased the building from the federal government in 2000 to create a civil rights tourist attraction, but about $8 million is needed to complete the project. Hopefully, we can find a way to get this done. Aww that's sad. This really looked to be a great project. A very historical attraction. I hope they can come up with the money some how. I believe that there is already a Bus example, albeit not a Greyhound bus in one downtown museum. Not sure that anything beyond a plaque will help illuminate the history of this station. I used to travel from there as a boy to Fla in places where the trains had ceased to haul passengers. Just another junky bus station. Plaque would be enough. The National Park Service held a public meeting today to get input from area residents in selecting a site for the Montgomery Interpretive Center along the Selma-to-Montgomery trail, but the decision could take many more months. 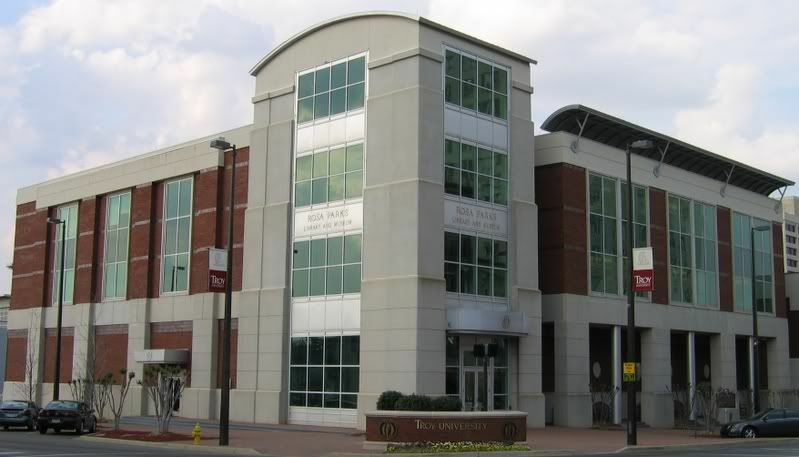 Five locations have been proposed for the site: Fairview Plaza across from the city of St. Jude; the campus of Trenholm State Technical College; the old Dunn Drug building on Fairview Avenue; the old Mount Zion AME building at 657 S. Holt, where the Montgomery Improvement Association was founded; and five acres of land owned by Alabama State at the corner of Tuttle, Carrie and Hall streets. 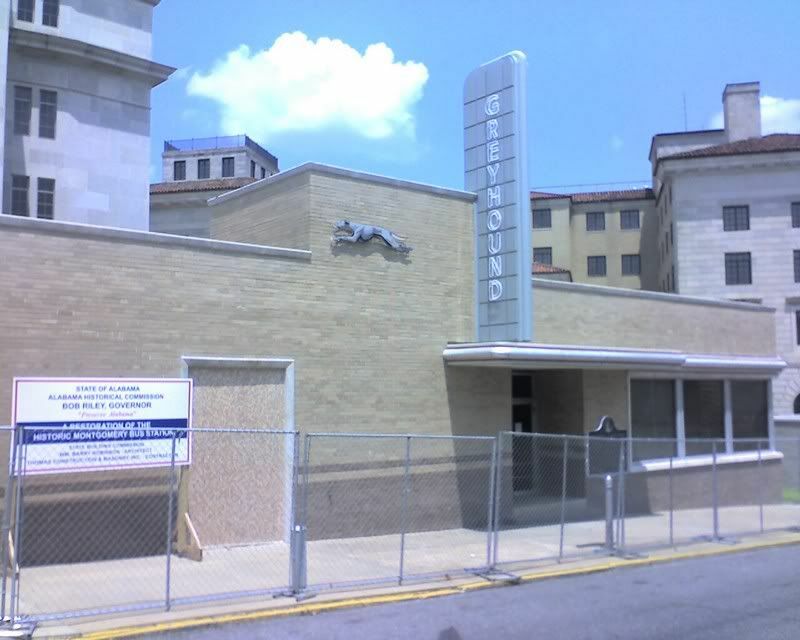 Within the next two years, the old Greyhound station is expected to reopen as a civil rights museum commemorating the attack on the Freedom Riders. 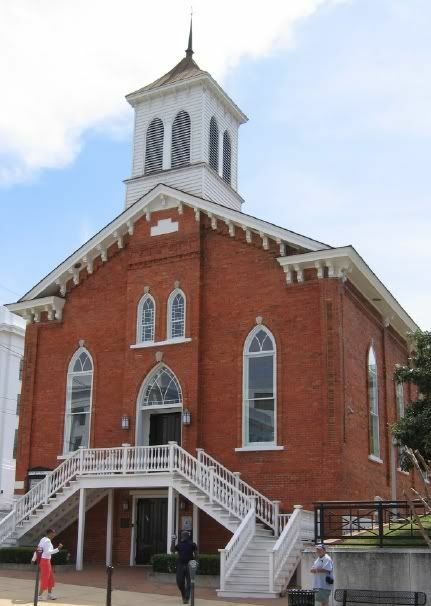 An Alabama Historical Commission official said the project has been put on the fast track, so hopefully it will be finished and open by 2010. Catherine Light of the National Park Service will recommend Alabama State University to be the location of the Montgomery Interpretive Center. Supporters of the City of St. Jude, where marchers camped in 1965, were not happy with her decision. ASU is way off the route in another part of town and doesn't have the convenient interstate access of the St. Jude site on East Fairview. 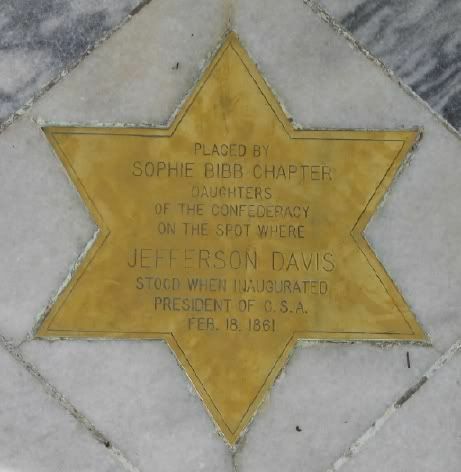 Apparently political clout and the $14 million that ASU promised trumped a historically appropriate location. 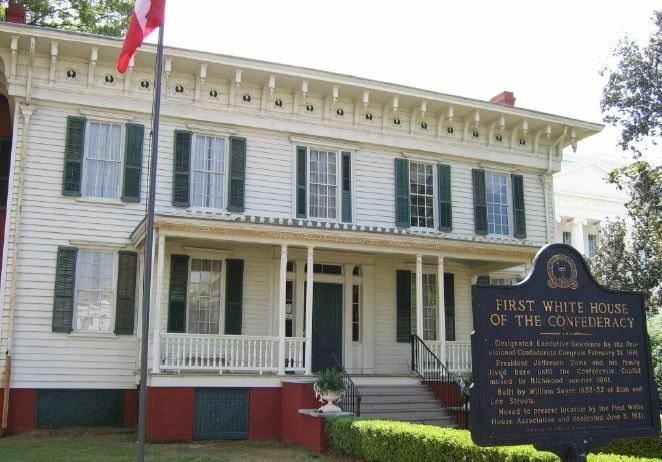 Frommer's, a publisher of travel guides, listed the Selma to Montgomery Trail as one of its top 12 destination for 2009. The trail is coming along, but two of the three interpretive centers are yet to be built and the city of Montgomery has a lot of improvement to do along the trail route within the city as well. Hopefully it'll be much improved over the next 5 years or so. A new walking trail is under development downtown that would feature civil war and civil rights related sites. The proposed heritage trail is being modeled after the Freedom Trail in Boston. Great idea, and the wayfinding signage mentioned would be a great help for people unfamiliar with the area. This is a great idea, I found this same article on the Advertiser's website today. I wonder if there is any new information on this. It seems like a pretty easy project to get completed. It's done. As part of the 50th anniversary commemoration of the Freedom Rides, the old Greyhound station will open to the public Friday morning.